Madonna + Maluma Medellín’s video is styled by Ib Kamara and directed by Diana Kunst. According to custom designer Gregory Kara, Medellín’s music video will be premiered on Wednesday, April 17th. 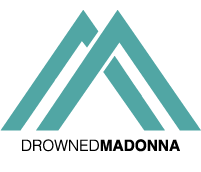 UPDATE: We at DrownedMadonna.com just learnt that Medellín video is not out on April 17th. We apologise. Diana Kunst directed music videos like James Blake’s Barefoot in the Park, Rosalía’s De Aquí no Sales and A$AP Rocky’s Fukk Sleep.